Amazon Web Services went down earlier this evening for nearly 30 minutes, taking Netflix, Reddit, Quora and foursquare with it. 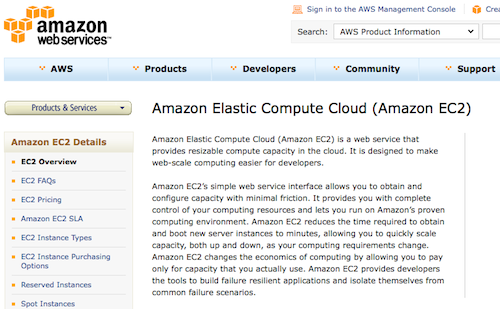 According to the AWS Health Dashboard, the problems originated with the Elastic Compute Cloud (EC2) and the Relational Database Service, both in northern Virginia, and were verified just before 8pm Pacific Daylight Time (PDT). As of 8:03pm PDT, connectivity to EC2 has been restored, and by 8:08pm PDT to the Relational Database Service (see screenshots below). Amazon Web Services experienced a two-day outage in April, also at the northern Virginia site. Reports of the outage spread quickly across Twitter before AWS verified the situation. As Chad Keck, senior product manager at HP Cloud Services, tweeted, "Amazon, if EC2 or your network goes down for ~30 minutes your service status page should reflect that." Startup SimpleGeo explained how it stayed up during that outage here.